Since this spring weather is getting MUCH nicer *hello, 30 degrees (Celsius) this weekend*, and summer is around the corner *six more weeks, huzzah! *, I decided why not post outfit ideas for this lovely weather we’re having by picking items from my personal “wish list” and “must have” list. So…ta da! Here you have the first of many must have lists and outfit ideas to come this season, for your spring/summer style inspiration. You’ll also find info on where to purchase these items, and their price points. The great part is that all the items on this list are under $200 (Canadian $). Yay! Next must have/outfit idea post will contain only items under $100! Let’s start with this super cute sundress, PERFECT for those hot and humid summer days. You can definitely accessorize a-plenty with this dress, because although the lace detail does fancy it up a bit (and the white and green dip dye adds a cool touch), it’s not too embellished or over the top, leaving room for creativity. This is why I started off with this particular piece, because the rest of the items on this list are a pair of shoes and lots of accessories (my favourite part of an outfit!) to add to this dress to form a complete spring/summer look. A summer outfit just isn’t right without a hat, and this fedora is a-a-amazing. It’s obvious why it’s on my wish list for this season. Plus, it’s Goorin Bros! Enough said. I’m going through a pink phase as of late, and am in love with this light pink shade. The pearls add an classy touch to the already feminine bag and dress up the outfit a bit more, and who can say no to a quilted design?! To top it all off, it’s a bucket bag…so in at the moment! I was SO excited when I found these on ASOS. My style typically isn’t this girly, but recently I’ve been having a thing for bows and feminine pieces, along with my renewed fondness for all shades of pink *shrugs*. These sandals go so well with the bucket bag – aah, pearl embellishment overload! As a sunglass-aholic, I approve of these and highly recommend them. They have such a summer/festival season vibe to them, yet are classy at the same time. Available exclusively at Anthropologie, these sunglasses come in a whole range of colours (but I prefer the peach shade below!). I can’t even begin to talk about how much I’m obsessed with this watch/watch brand. Apparently plenty of others are just as obsessed as me, if not more, because these watches tend to sell out A LOT. They go in and out of stock in a flash, not just on the actual store/website, but on other online retail sites and physical stores that carry the brand. So, if you want one, you better be fast! Available at: The Horse, Beginning Boutique + check out their website for a complete list of stockists, including other online retailers (I’m biased towards Beginning Boutique because I LOVE their Instagram account, which is why they get a mention above, FYI). PS. they would look great stacked together with the The Horse watch! I stumbled upon this ETSY shop the other day and fell in love with these awesome gold pineapple rings. I love anything to do with pineapples or palm trees, so this is definitely on my list of current faves. Plus, it has that tropical/beachy/island feel to it – perfect for summer, and a cute addition to this whole ensemble. Price: $86.48+ CAD (since each ring is individually hand-crafted, and they come in gold, silver, etc., pricing may vary, so contact the shop owner for specific pricing questions!). I love this online shop and HAD to include this ring on this list because it’s so dainty and adorable. It’s such a contrast to the casual/cool beachy feel of the pineapple ring, that I think adding this one to another finger balances it out. The more rings the merrier! PS. I discovered this shop via their website not too long ago, and became an instant fan. It’s also a Canadian shop (Montreal-based to be exact), so I couldn’t resist giving them a shout out on this list! I included not one but TWO NASTY GAL necklaces, because why not?? Here we have a smaller necklace with a pineapple pendant (can you see a theme developing here?) that not only goes with the pineapple ring, but with the whole summer look we are trying to achieve. I also threw in a longer chain necklace with a gold bar pendant, for the option of layering both pieces. The TOPSHOP dress does have a lace detail, so both aren’t necessary. The smaller one is cute and dainty, and adds a cute touch, but if you feel like adding something extra, the layering option is always there and you can throw in the longer chain necklace. These studs are both modern and classic, so you can pair them with basically any look; dressy, casual, whatever you please. I love the marble look to them, and the different shades of the little stones. I thought it would be perfect for this outfit because it’s not too overpowering. Because of the lace detail of the dress, along with the hat, big sunglasses and the rest of the accessories, you wouldn’t want overdo it by throwing in a huge pair of earrings and risk the look overpowering you. Last but certainly not least, your outfit just wouldn’t be complete without a cute iPhone (ah! apologies to the non-iPhone users) case. Come on, your phone deserves a cool accessory as well, right?! This macaron one is so sweet *pun definitely intended* and whimsical. Such a great finishing touch to an overall awesome summer look! -Neoprene swimsuits, emoji shirts and kale sweatshirts are part of the “rising stars” group – they have experienced a sudden growth as of late, and are “trends likely to be fleeting.” In other words, they are just fads. -One shoulder dresses, peplum dresses and vintage clothing have seen a steady decline, and are trends that are “fading out.” (noooo, not vintage! I refuse to believe that). Click here for the full Google report. If you’re like me and have tons of clothes just lying around (either they don’t fit or you simply got bored with them), then I suggest you take my advice and check out this genius online community called Trend Trunk. Trend Trunk simplifies both the buying and selling process. There’s no meeting up with anyone, so there’s no worrying about potentially being involved in a sketchy or dangerous situation when meeting up with a complete stranger. Nobody needs that kind of stress, especially when shopping should be a fun experience! I joined, and have already spotted so many amazing items that are brand new or gently used. Definitely adding all of them to my “should buy” list. I will also soon be adding a bunch of my own items (clothes, shoes and accessories), so stay tuned for that! I will announce when my “closet” on Trend Trunk is all set to go. One thing you should be aware of is that right now, a bunch of other amazing bloggers’ closets are available for you to check out. This is part of “Blogger Fashion Week,” which started on December 9 and ends this Sunday the 15th of December. So hurry up before your chance to purchase some amazing items at a low price ends! Plus, you’ll be doing a good deed because some of the bloggers will be donating 100% of the proceeds to their favourite not-for-profit charity through Trend Trunks’ Closets & Causes program! 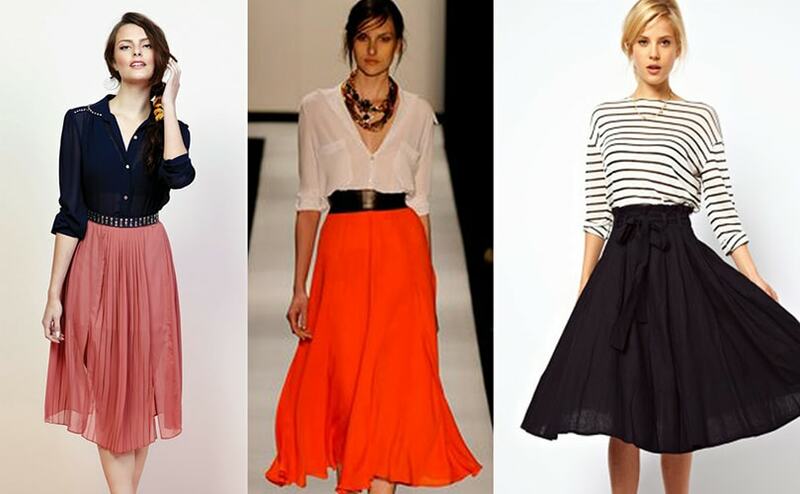 Shop your favourite blogger’s closet at www.bloggerfashionweek.com and check out Trend Trunk at www.trendtrunk.com! If you end up purchasing an item or items, take a pic and share it with us by tweeting @gialilibeth and @trendtrunk! These sparkly beauties may not be for everyone, but I think they have a charming quality to them. I really really want a pair of these to dress up a casual look. They would look great with skinny jeans and a black sweater! I’m in love with the whole glitter and sparkle trend going on at the moment. As if I wasn’t already girly enough to begin with, Miuccia Prada just had to unleash these to the world!